The State pension currently pays €243.30 per week, or around €12,700 per year. It is paid to people from the age of 66. The age at which it’s paid is moving up: it’ll be paid from age 67 if you were born between 1955 and 1960, and from age 68 if you were born after 1960. 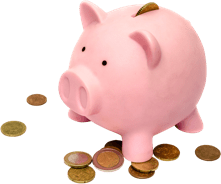 The State pension – or State pension (contributory) to give it its official title – is paid in full to people who have sufficient PRSI contributions. If you have some contributions but not the full requirement, a portion of the pension can still be due to you. Further information on qualifying for the State pension is available on the Department of Employment and Social Protection website.